There’s been so much talk in recent years about the importance of design. Hey – clearly it’s important to us and we’ve always felt it is a vital tool in our clients’ arsenals but it’s becoming increasingly important to businesses that may not have thought about it as much before, specifically, those who do business with other businesses. A recent study from Avanade, a technology consulting firm finds that Business-to-Business enterprise buyers are mimicking consumer shopping behaviors. And that the B2B companies that are responding to this change in their customers’ behavior are seeing increased customer loyalty, increased revenues and are growing their customer base. Many of our clients do commerce within the Business-toBusiness realm, and we’ve never considered bringing a different, “lesser” design ethic to the work we do for them. We have always understood the importance of getting the word out about what they do, and have always felt that beautiful and functional is the way to get and hold eyeballs on your message. So how to spread the word? 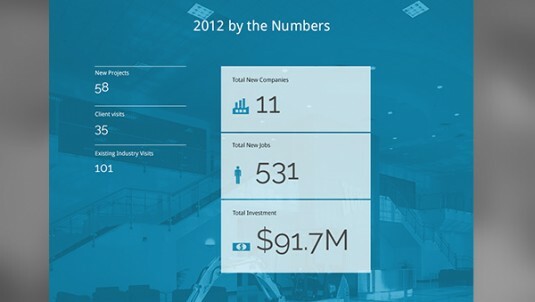 A tried and true way to share a lot of information about your company is an Annual Report. Yup – they have been around for ever (not sure when the first one was printed, but Harvard’s Barker Library has one from 1820 in its collection), but bottom line, they remain a useful way to talk to your audience about who you are and your successes over the last year. 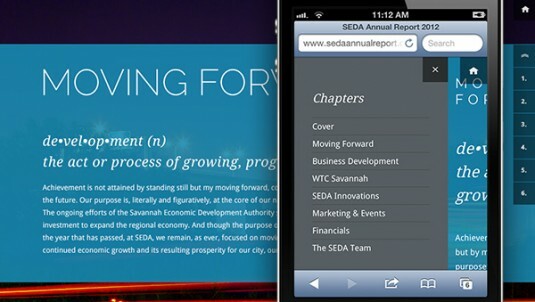 After a series of well-received traditional print versions, 2 years ago, the Savannah Economic Development Authority wanted to try something a little different a little new. And they also wanted to increase their reach. 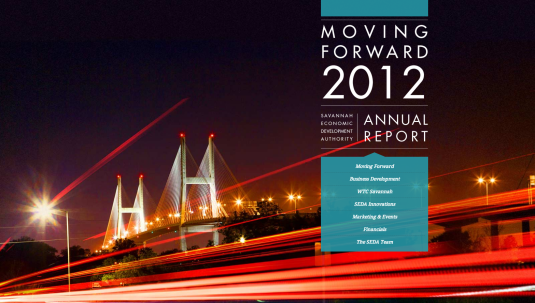 Now, printing costs have a real impact on the depth of mailing lists, so we suggested a digital Annual Report. Not a brand new idea, rather one that has taken hold in the last few years. ReportWatch, a London-based group that provides annual assessment of annual reports, both in terms of scoring and watching trends, has seen a definite shift in the last five years towards online delivery. So why are companies making this shift? 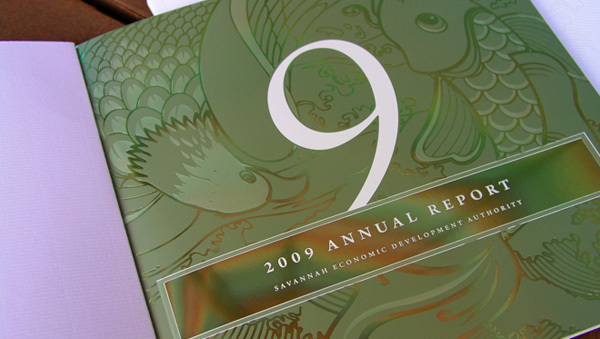 Budgets for digital reports have increased some 30% over the spend in 2010. Digital allows for communication that is scalable, targeted, purposeful, engaging and, most importantly, measurable. 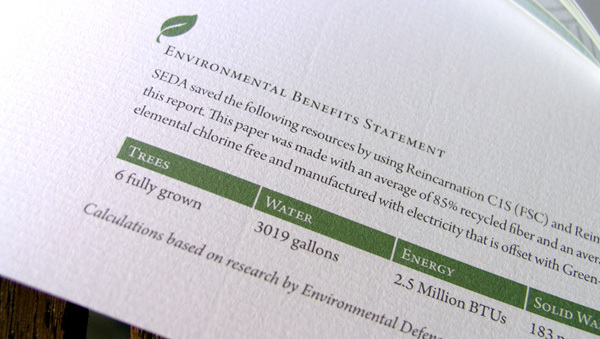 In an online environment where the average time spent on a single page is 10 to 20 seconds, SEDA’s audience is spending close to a minute per page on this report. A 2013 National Investor Relations Institute study found that online tracking of reports increased 60% between 2008 & 2012. Although 80% of those that track do so to improve the following year’s budget. We did another one for them this year. 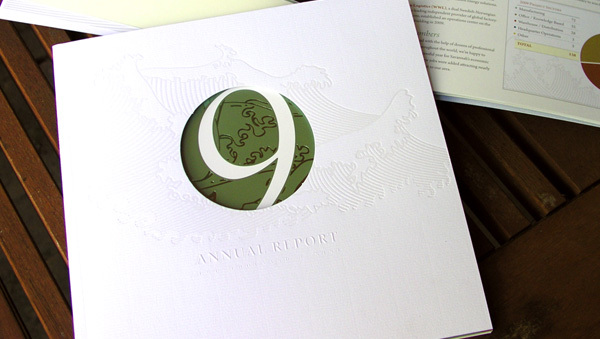 A well-thought-out annual report can put a face on your company for both existing and prospective customers. 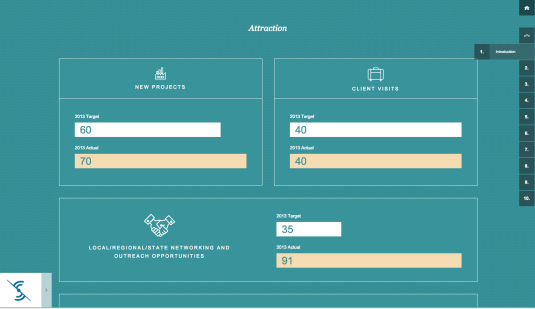 And the Avanade study really underscores the importance of relationship-building in business. It found that good relationships and customer experience matter more than price. How much more are they willing to pay? On average, 30 percent more for an improved customer experience. That’s a pretty astonishing spend increase for any business. 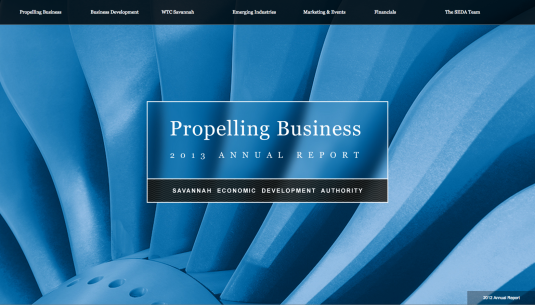 As we approach Annual Report season, consider a Digital Annual Report this year. Increase your reach and build deeper relationships with your customers through an in-depth look at your business.